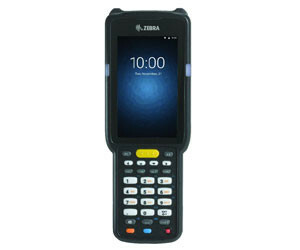 The Zebra MC3300 Mobile Computer with Keypad offers an easy way to migrate to the next generation in mobility business platforms for Android. The next generation of the MC3000 series offers a lightweight ergonomic design, large touchscreen and scanning performance, versatility and flexibility. Zebra’s toolbox of applications — known as Mobility DNA — not only makes deployment and application development easier than ever, it also allows users to add new capabilities to their MC3300 mobile computers to streamline everyday processes and improve worker productivity. Users can run current terminal emulation (TE) applications out of the box or reformat to create intuitive screens that utilise touch to simplify the user experience. Ivanti Velocity is pre-loaded on every model. Alternatively, Mobility DNA’s AllTouch TE is also pre-loaded on every model, ready to help turn traditional ‘green screens’ into touch-centric intuitive screens. The Epson EcoTank Mono high-volume ink tank printers come in two models: the ET-M1100 and ET-M1120. The Epson Australia WorkForce Pro WF-C579R and WF-C529R are A4 colour printers. 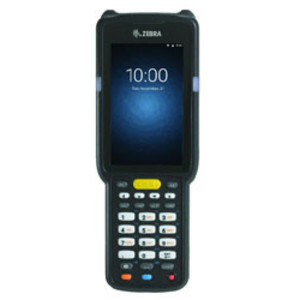 I am interested in Zebra MC3300 Mobile Computer with Keypad .